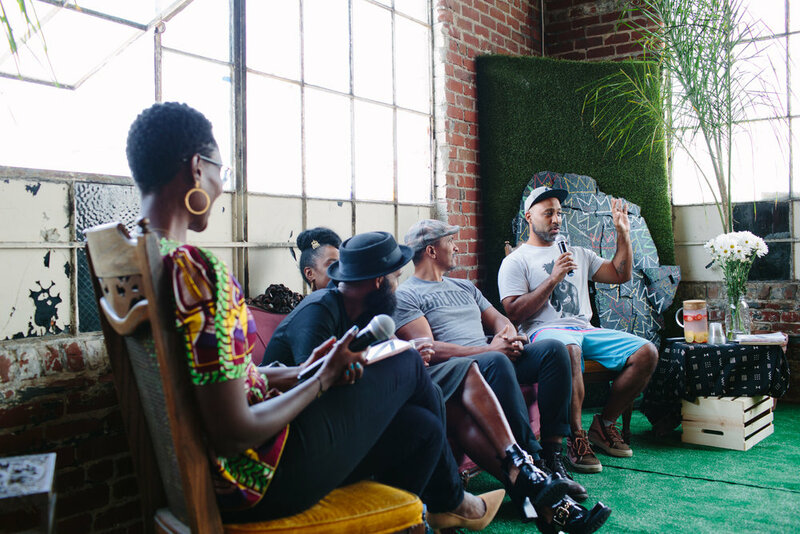 As part of our commitment to holding space for important, intergenerational conversations for the Black Community, Alena Museum hosted Black Space Matters, a panel discussion, on Sunday, August 19. 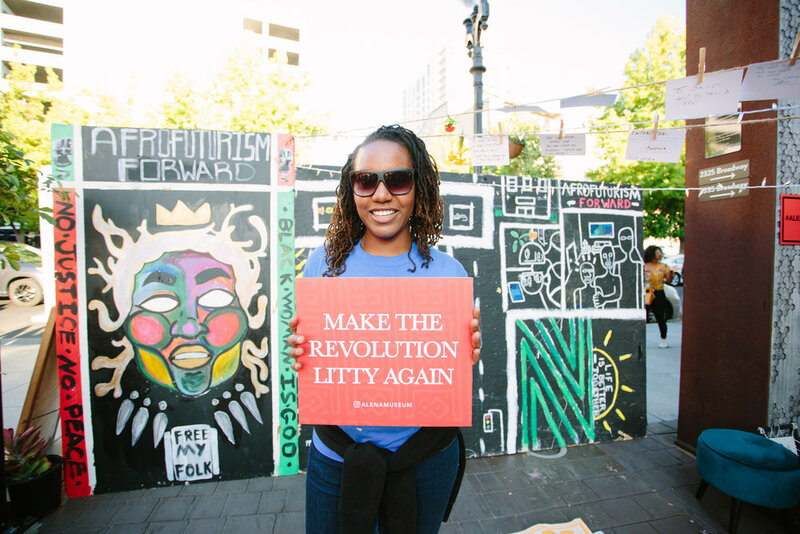 The event was aimed at starting a dialogue on the dynamics of opening space and holding space for the Black Community in the midst of gentrification encroaching on environments that Black people have traditionally held. The panel consisted of Keba Konte of Red Bay Coffee, Anyka Barber of Betti Ono, Joshua “Bicasso” Whitaker of Spirithaus Gallery, and Hager ”Seven” Asefaha of Alena Museum, each providing insights into their journey engaging with the questions of how black spaceholders play a critical role in salvaging, preserving, and reimagining how our cultural identity can continue to flourish and reinvent itself in this new era. The panelists spoke on many rich aspects of this topic, but focused primarily on what led them to want to become a spaceholder, the process they went through to obtain their space, what is needed to make these spaces more sustainable, and their current trials and triumphs. This was an initial conversation to help people become acquainted with some of the black space holders in Oakland and to provide a foundation for our upcoming events this fall. Alena will hold workshops that will leverage knowledge and resource sharing to facilitate looking into models of a “new black world” that would address some of the key points of the panel. These points included synergizing environments of intentional black spaces that would hold our culture instead of scattered geographies of our work, as well as the importance of recognizing the knowledge and resources we have amongst each other. 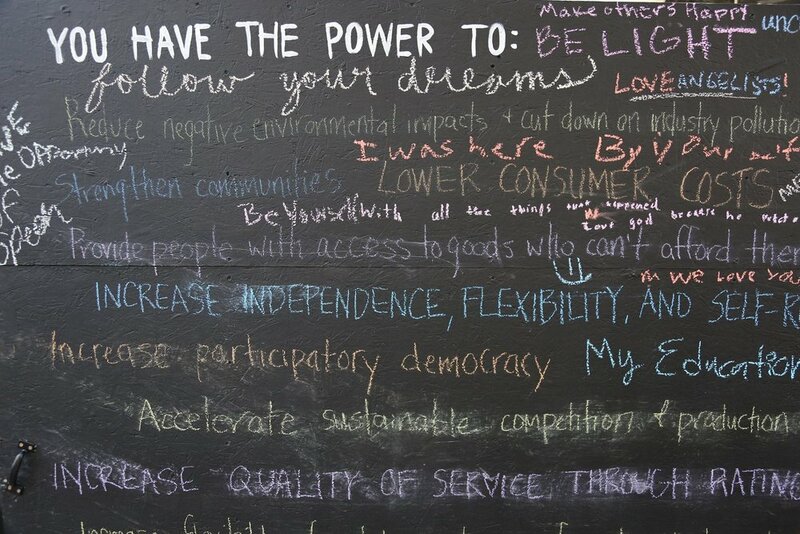 Alena views ownership as the vehicle through which these challenges are met. After a 5-year lease of our building ended the landlords used the excuse of Ghost Ship and blatant discriminatory actions to evict us. We have until March 31, 2019 to find another location and we are committed to own the next building that we activate. 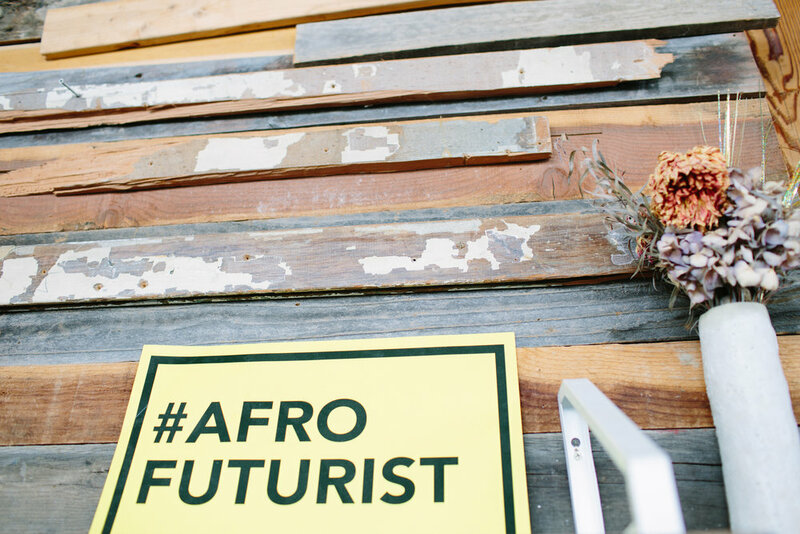 Afrofuturism blends past, present, and future. This has been our land, we are still present on this land, and we must consider what our present actions mean for generations moving forward in this changing landscape. 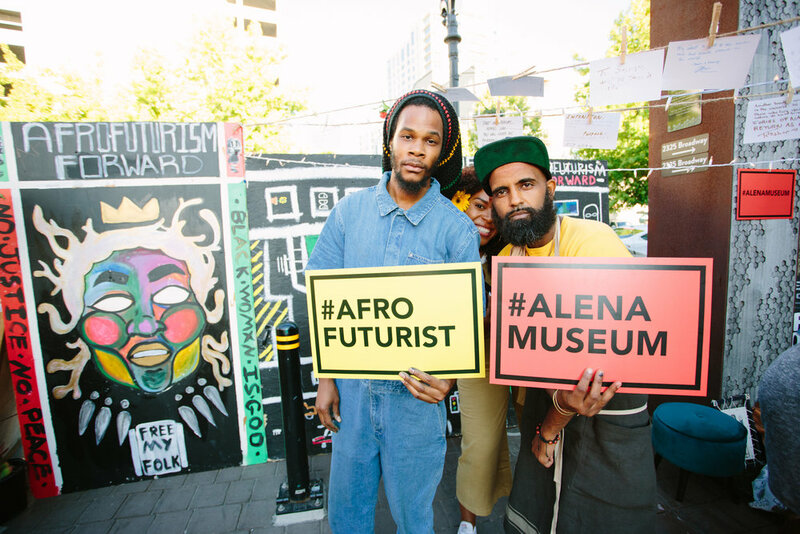 Alena Museum wants to collectively envision a Afrofuturistic environment in which urban black communities can exist in healthier and more sustainable ways that mitigate gentrification and thrive from our cultural depth and wealth. Interested in talking to Alena Museum’s real estate team about any opportunity or resources purchase land? Email info@alenamuseum.com. 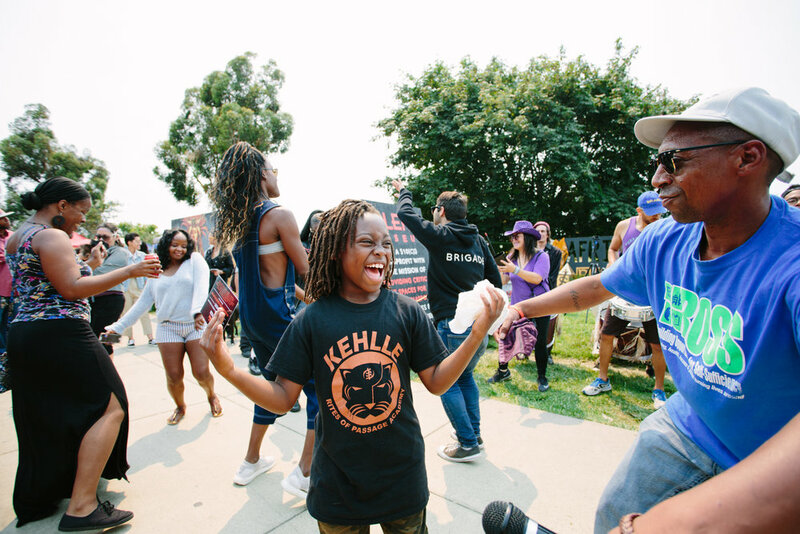 Oakland and communities across the nation have been devastated by the onslaught of violence directed at the Black community and toward Black youth in particular. The murder of Nia Wilson at the MacArthur BART station was the latest in this string of violence. Once Nia was killed, rallies and vigils spread throughout Oakland, making these injustices visible. Organizers demanded action from the city, BART, and the police department. Several memorials, protests and actions have happened since Nia’s murder and these actions will continue. These actions are testament to Oakland’s spirit of resistance. Nia’s name means “purpose” in Swahili and “intention” in Arabic. The installation gave the community a chance to honor her life and to internally examine their own intent and purpose. Folks were encouraged to share a purpose or intention at the altar. They were to write on paper and put that intention up using one of the clothespins as a way of honoring Nia’s life by meditating on purpose and sharing it within a safe space. Several people shared their intentions and commitments with one another with tears in their eyes. 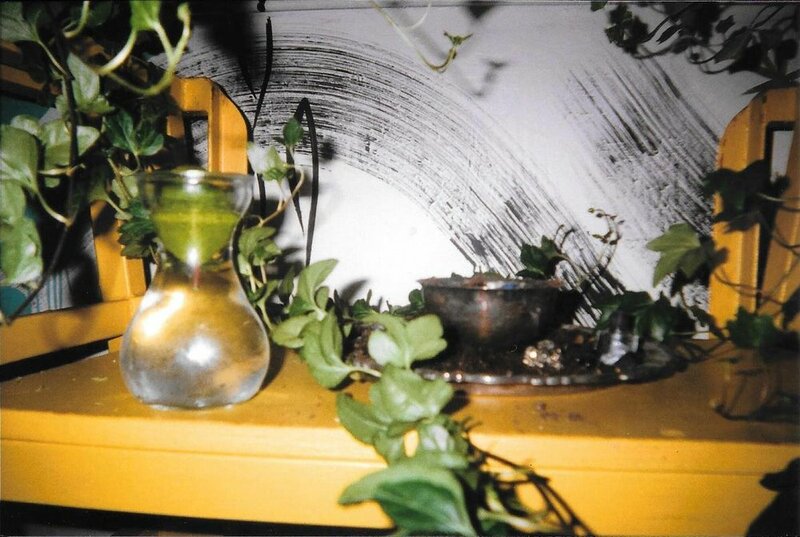 The installation was a combination of art, sage, music and grief. 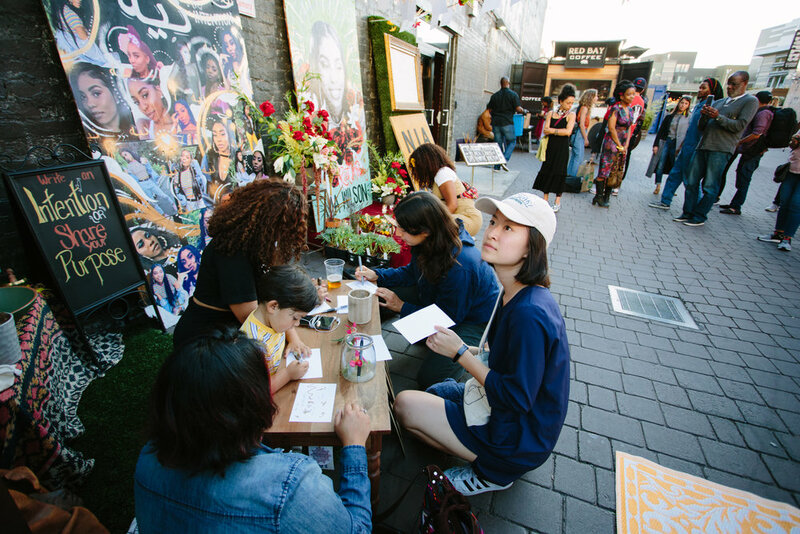 The installation had a large image of Nia as a centerpiece that read “Rest in Power Nia Wilson,” with an elaborate floral arrangement underneath donated by a local florist. 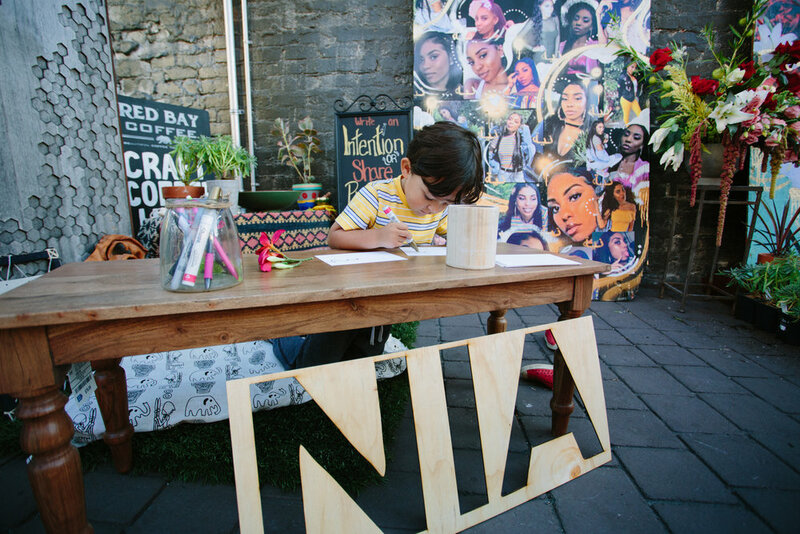 To the right was a 3D cutout of Nia’s name which translates to “intent.” In the Muslim culture, one is judged by the intent of their action in anything that they do which has a direct connection to the Swahili translation “purpose.” To the left was a collage of many images of Nia. One sign read, “Criminalization of Black Lives is Systemic Racism.” After Nia’s murder, KTVU shared a photo of her with what appeared to be a gun in her hand, but it was actually a gun shaped phone case. The collage was in protest of KTVU’s inappropriate use of an image of Nia reportedly holding a gun during their coverage of her murder. 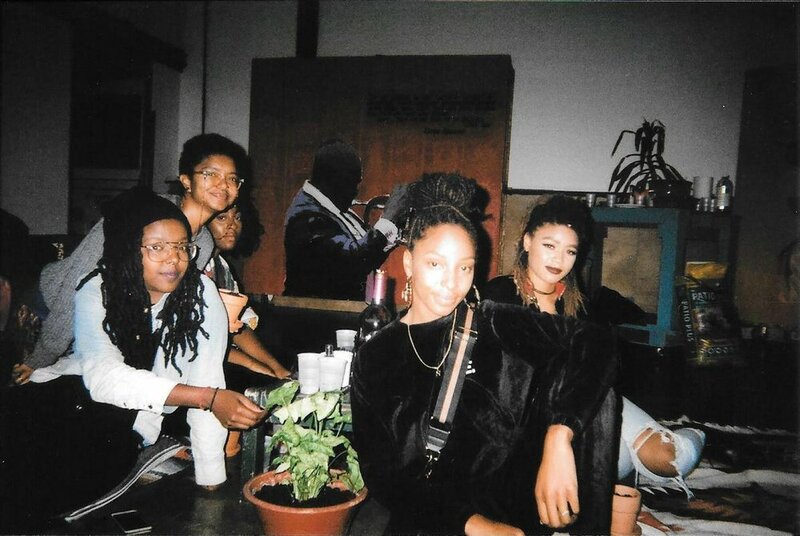 An Afrofuturist installation was set up in conjunction to the Nia tribute. 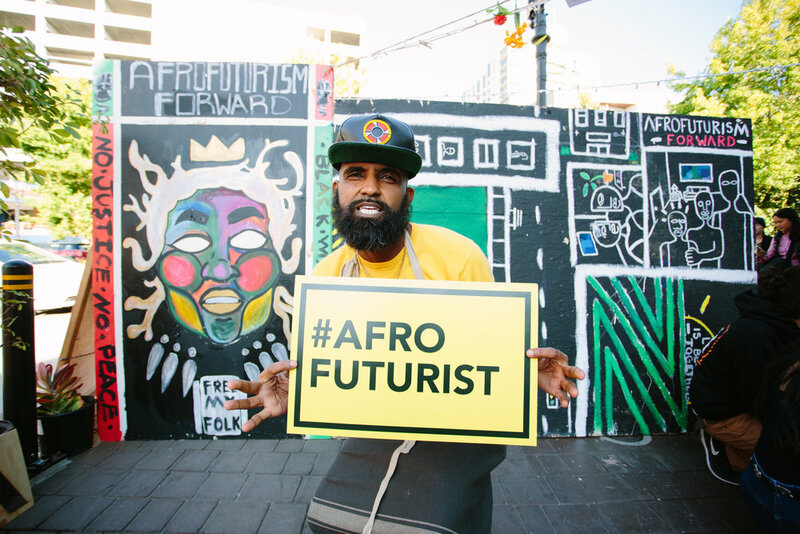 Afrofuturism in the abstract and material, encourages its audience to connect Black life, liberation and futures in a way that centers imagination, creativity and communication. It connects Black life and death by asking, “Where do Black people belong in the future?”and simultaneously answering “We have, and will always belong, shape and sustain it.” Community, commitment and reflection are the core of Afrofuturist thought and expression. 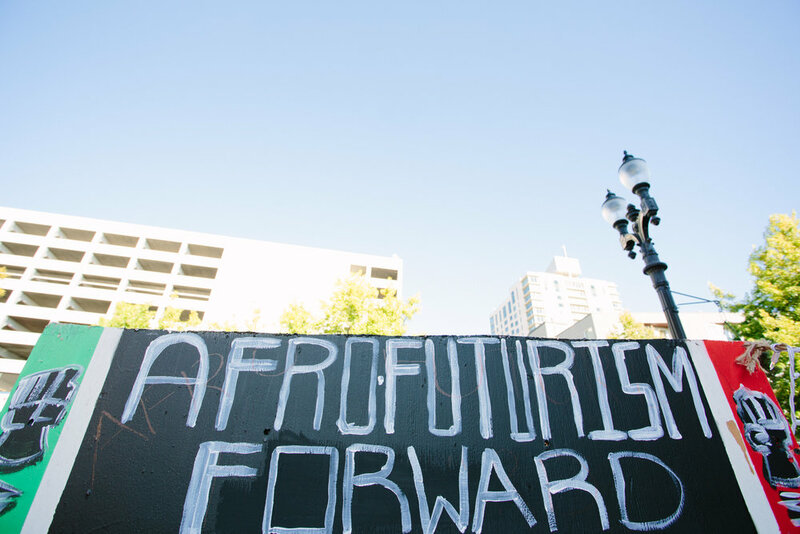 Though the term was coined in the early 90s, Black folks have been Afrofuturists since the beginning of time. We re-visit, re-connect and re-member our practices, ancestors and loved ones beyond space and time. When we hold these spaces dear, we honor our history. Undoubtedly, Nia was in that space witnessing those who paid tribute to her life and her death. While we gathered, stories of frustration, loss, hope and peace were shared. We danced, sang and cried. We let all the creativity, grief and imagination transform the sacred space. This story is not new and it is devastating. Black people deserve protection. Black people deserve life. Black people deserve safety. When our lives are threatened, what spaces will be left to remind us of our worth? 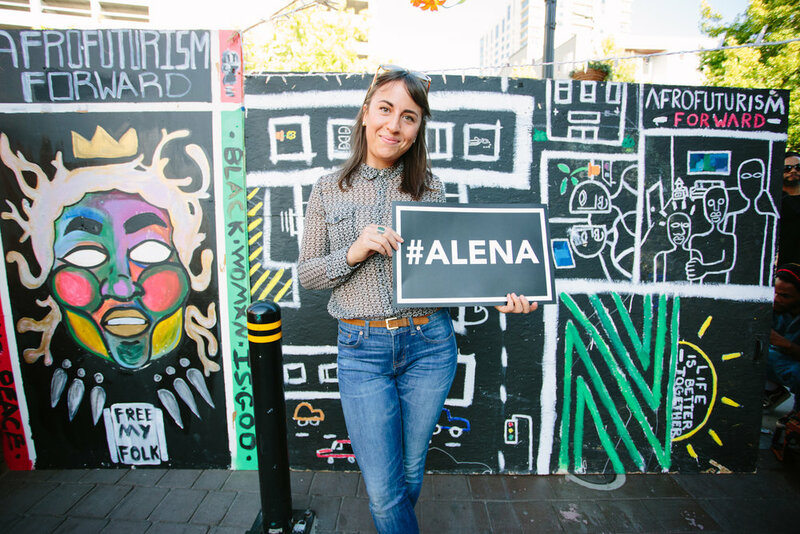 Alena will continue to fight against systemic racism and the displacement of the Black Diaspora. We encourage all of you to find your Nia, your purpose, and let that anchor you on your journey. "This is Oakanda" at Lake Merritt in Downtown Oakland. 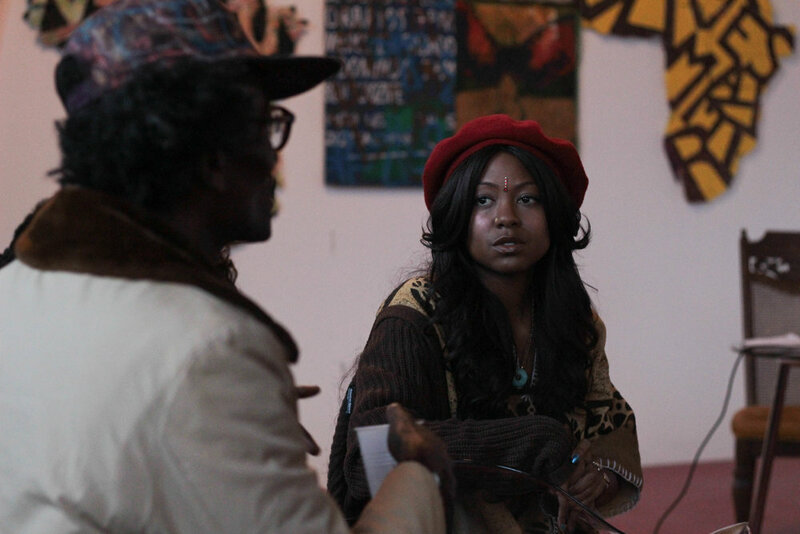 This event featured artists of the African Diaspora via public art installations, dance, and live musical performance. 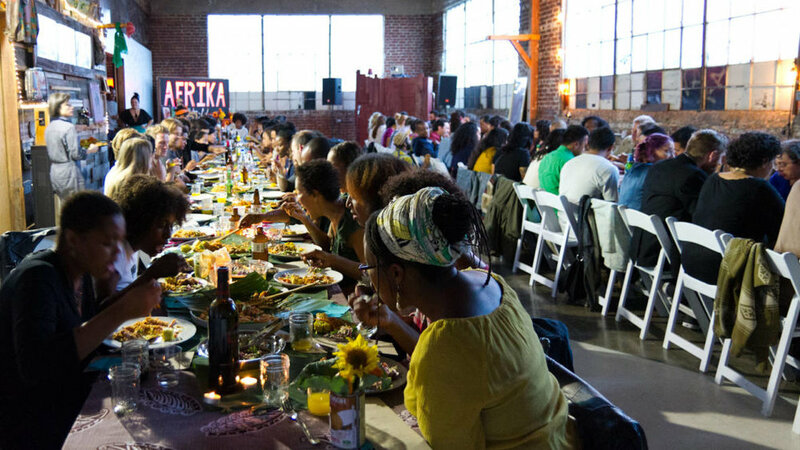 It was a celebration of the black community of Oakland and served as an opportunity for us to recruit volunteers for our Alena Evolution Campaign. 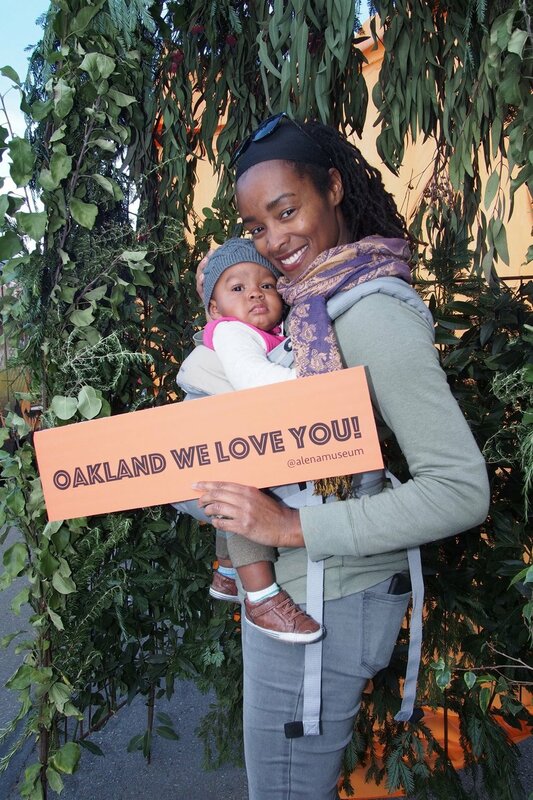 The title This is Oakanda came from the idea of reflecting the resistance spirit of the community of Oakland, which was featured in Oakland Director, Ryan Coogler’s film Black Panther, which took place in the fictional African country of Wakanda. Check out the video for a recap of the event. Alena Museum’s Tiny village concert is an intimate music and talent show that allows budding artists to share their work in a supportive and responsive environment while developing authentic connections with their community. 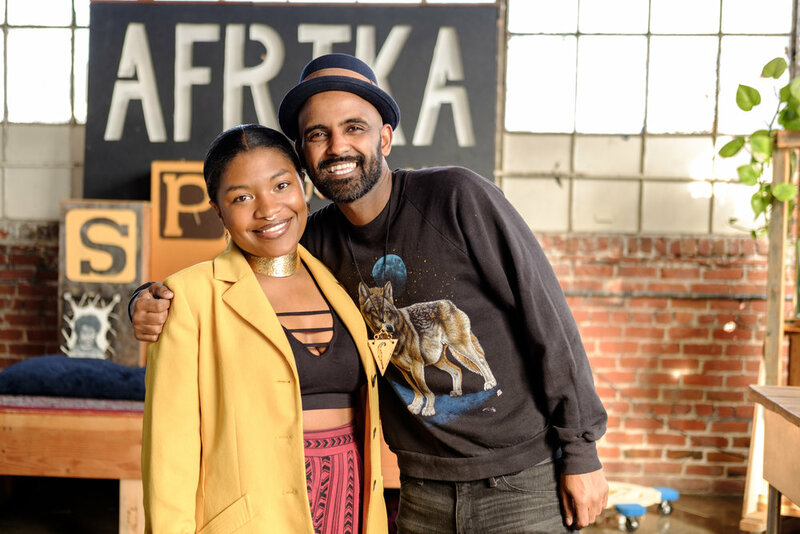 It is Alena’s deeply curated version of the Tiny Desk Concert series hosted by NPR. It is important that we foster and showcase the talents of the African diaspora and practice cultural equity by producing and owning our cultural content. 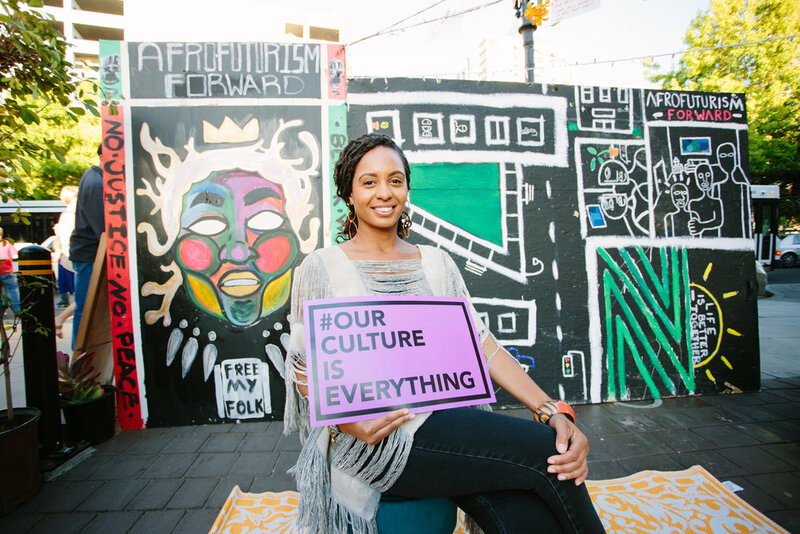 The Alena Culture collective is teaching our community the process of production, event planning, digital storytelling, and talent development. 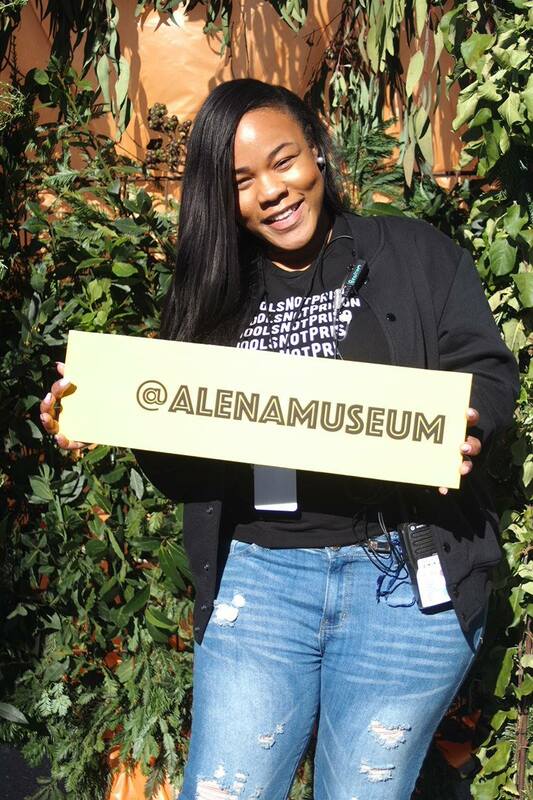 Update: Alena Museum Lease Dispute! “Oakland, We Love You!" 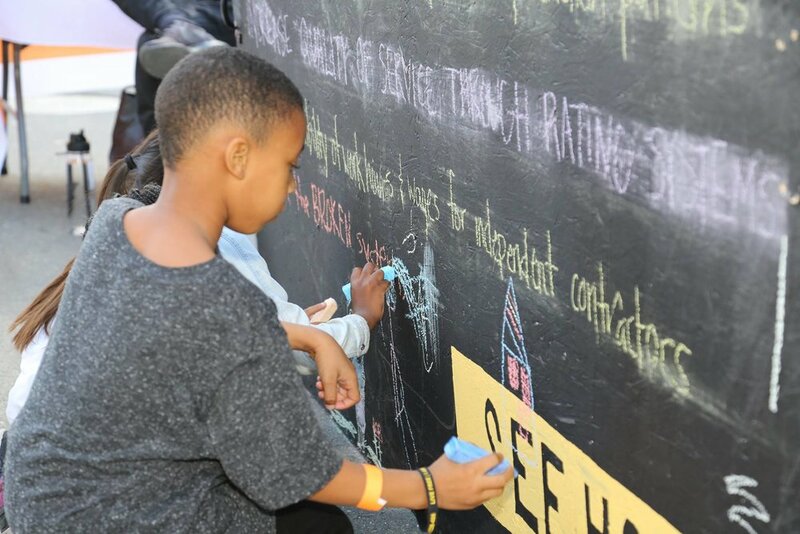 was an interactive art installation at the California Endowment’s Oakland Block Party. We illustrated the concept of shared economy and how it can help sustain a culturally rich and diverse Oakland. 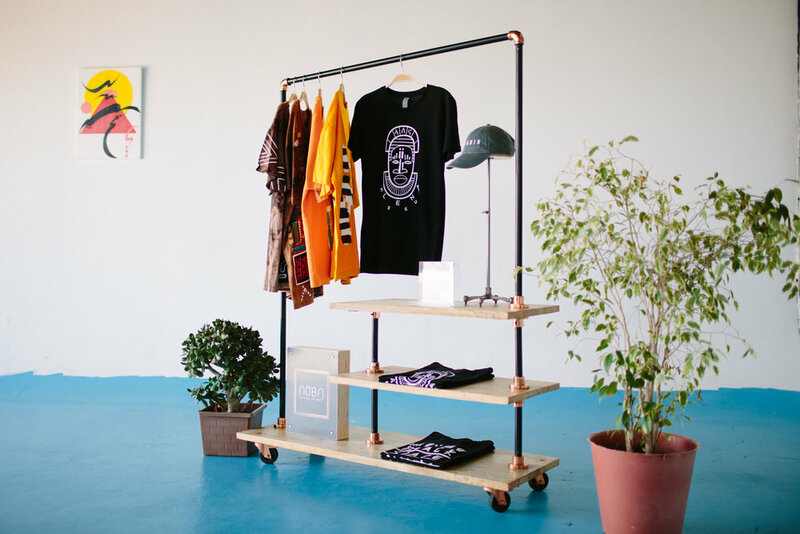 Our three-part installation included “The Future is Green” photobooth, an interactive mural, and a healing village space. Spirit Water Project / "Bones & Soil"
Spirit Water Project was created by Anisah Abdullah. 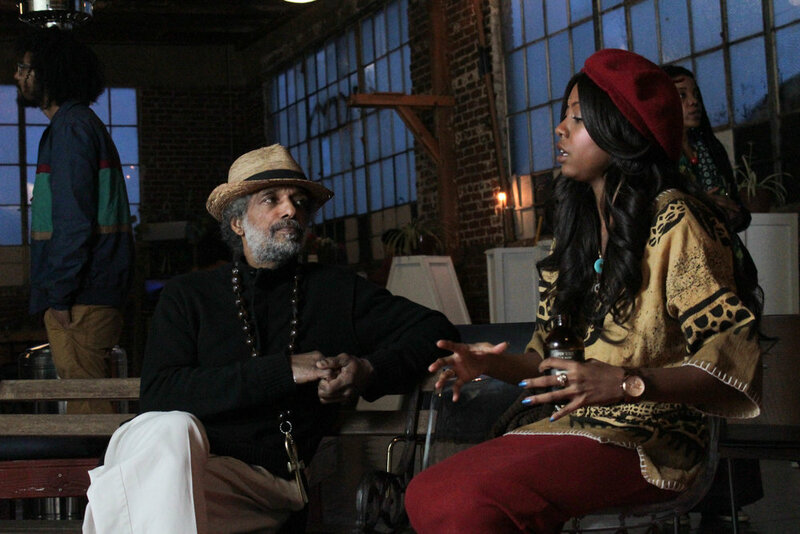 It exists to create somatic and plant-based therapy in a restorative justice setting for people of color. 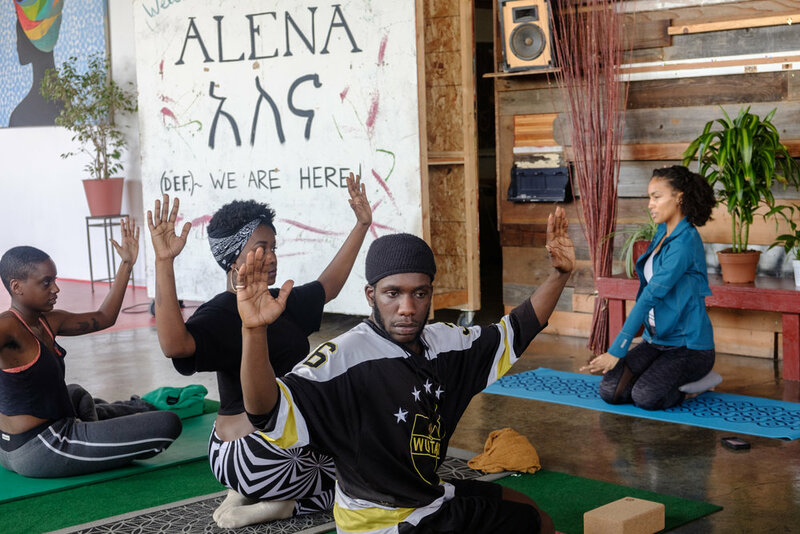 Bones & Soil was held on October 19, 2017, and was a kemetic-based yoga and meditation workshop for POC with a community discussion on healing. Alena Museum was listed as Best Multi-Use Museum in West Oakland! 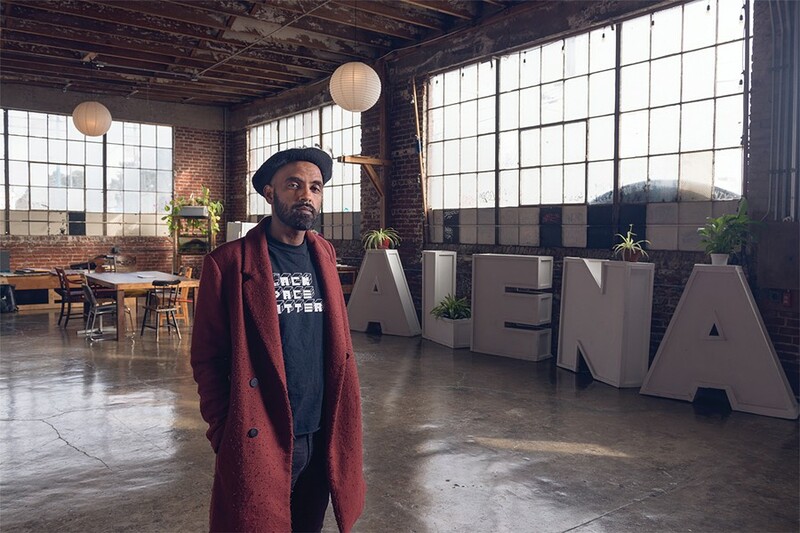 Alena Museum was featured in an article in a News & Opinion Feature in East Bay Express titled "Oakland’s Black Artists Make Space for Themselves," by Janelle Bitaker. More information about the grants and the full list of recipients can be found at KQED. 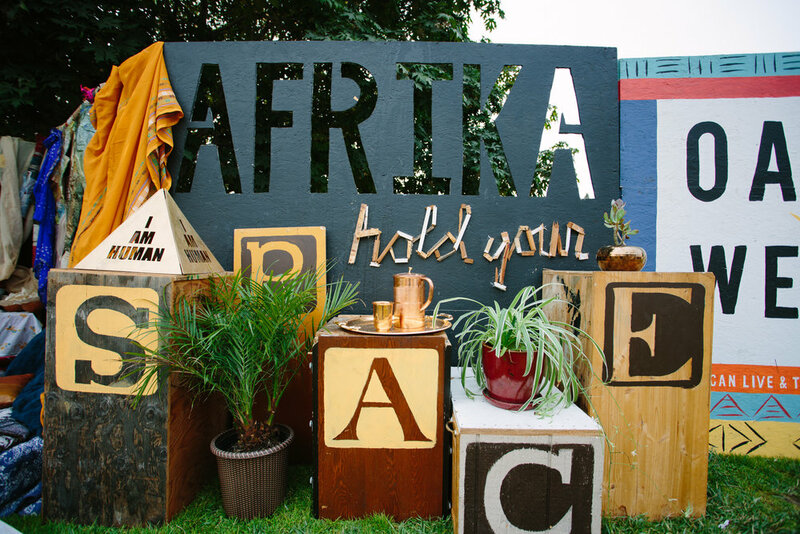 The "Africa Hold Your Space - Live Podcast" featuring Githinji Mbire and Seven Styles is now up on SoundCloud! 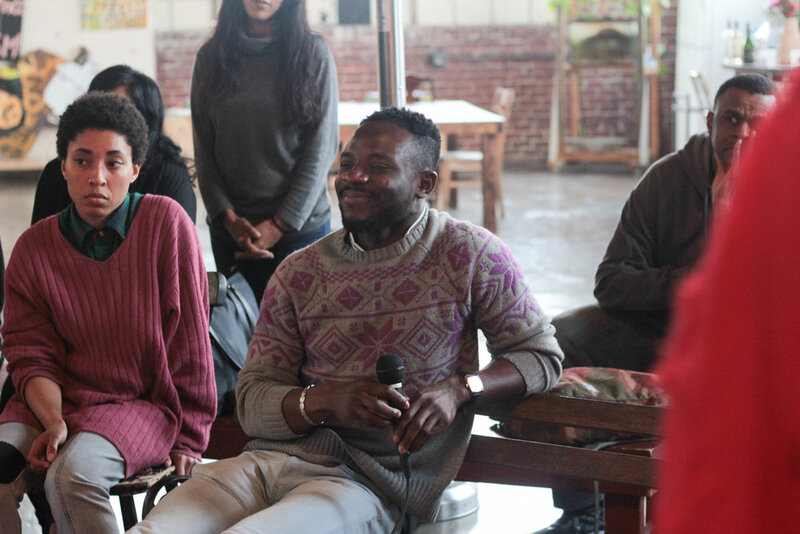 Part 1 featured Githinji Mbire and Seven Asefaha discussing topics such as "What is Oakland style? ", how Githinji got into visual art, and how creative young Africans are finding an audience through digital platforms. 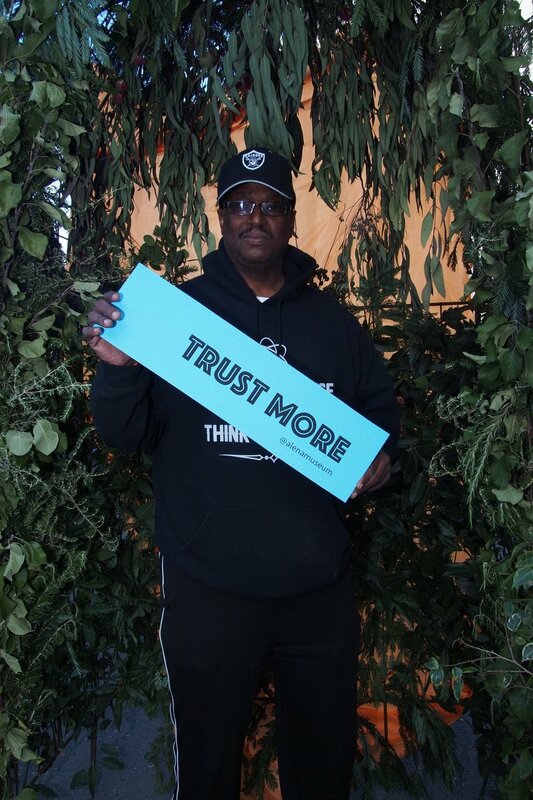 Part 2 featured Githinji answering questions about topics such as gentrification happening in Oakland, how black people living in the community can acquire wealth, and the biggest way that artists can contribute to Oakland’s culture. 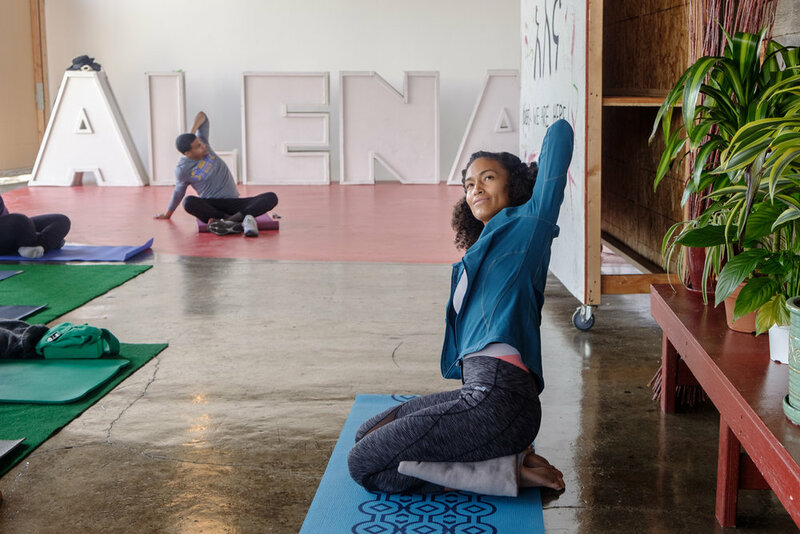 Health and Wellness is a pillar within our mission at Alena Museum. 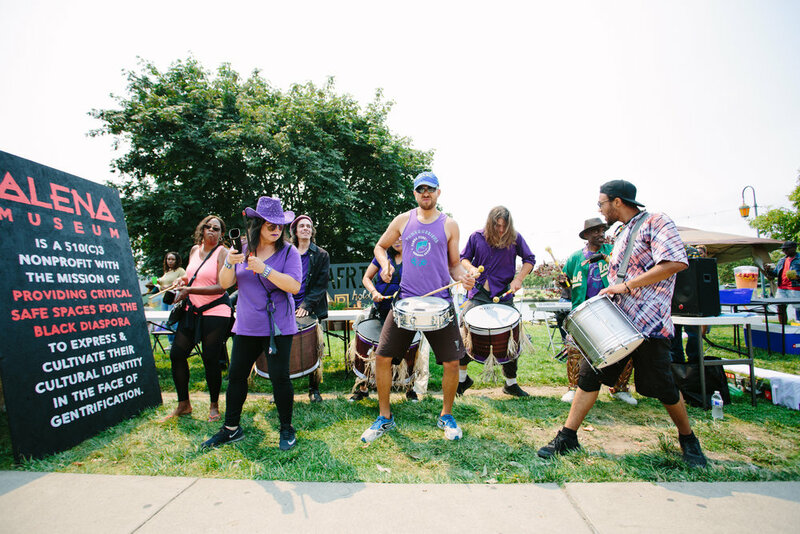 We partner with local groups and organizations to offer our community knowledge, skills and resources that ensure communal longevity. 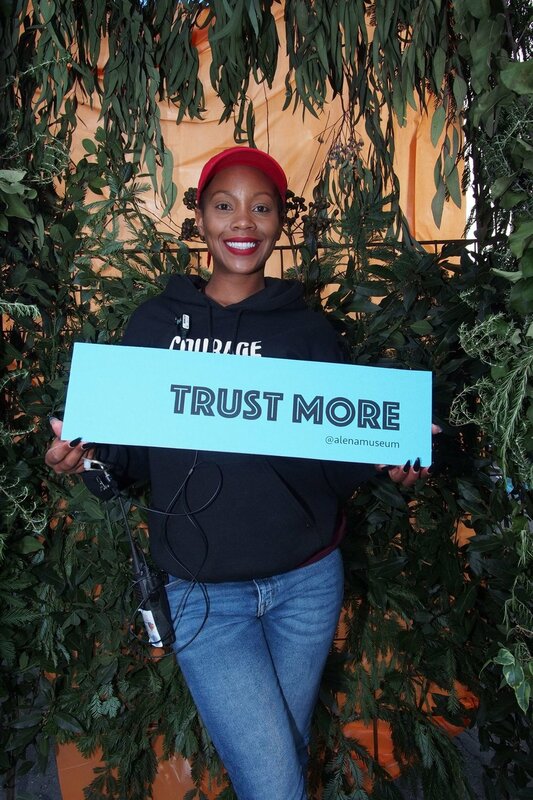 "Together we heal, we find sustainability, and we grow." Our first Health and Wellness gathering of 2018 consisted of a gentle yoga session lead by instructor Josie Santiago, a poetry reading by Fatima Nasiyr, and a vegan potluck.